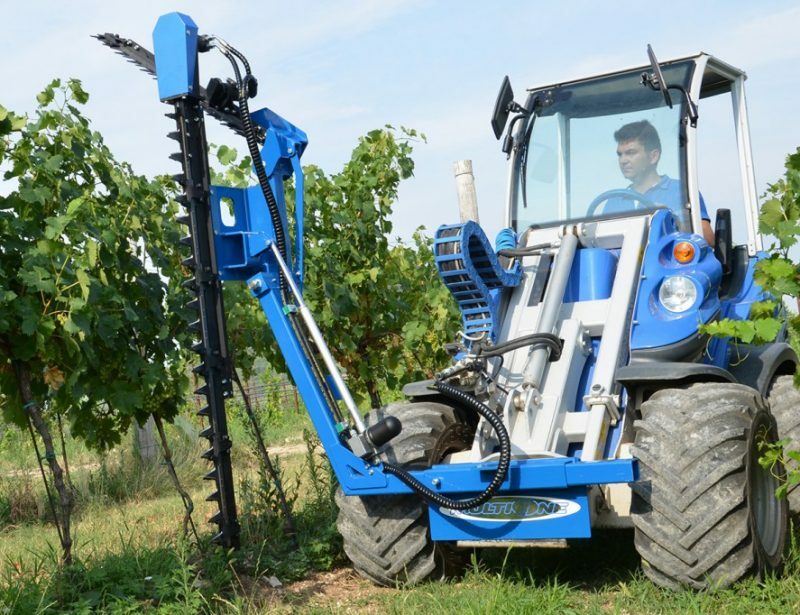 There’s a lot of equipment out there designed for general farming, but orchards and vineyards come with their own unique set of challenges. 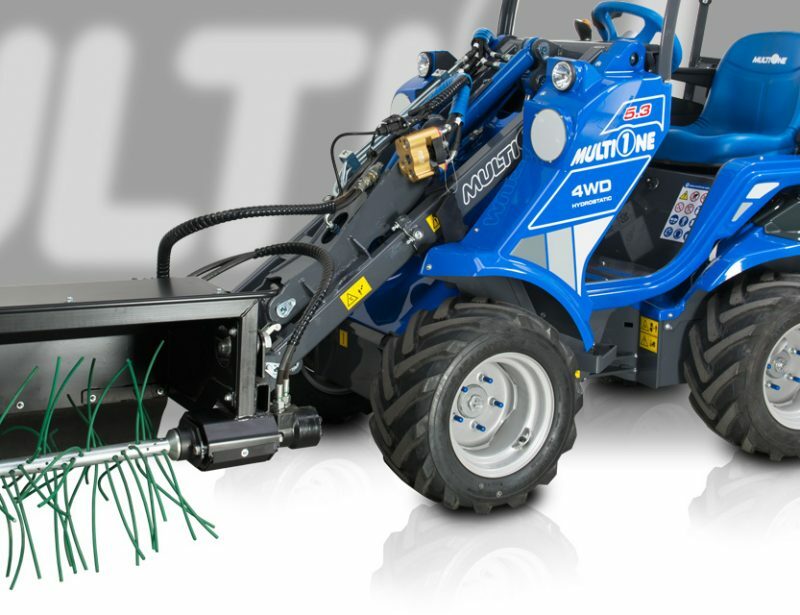 MultiOne developed attachments specifically for your needs, operating in the confined spaces created by rows of trees and trellises while providing the reach you need to work on your plants. The Usefulness of These Attachments Starts with the Loader Itself. 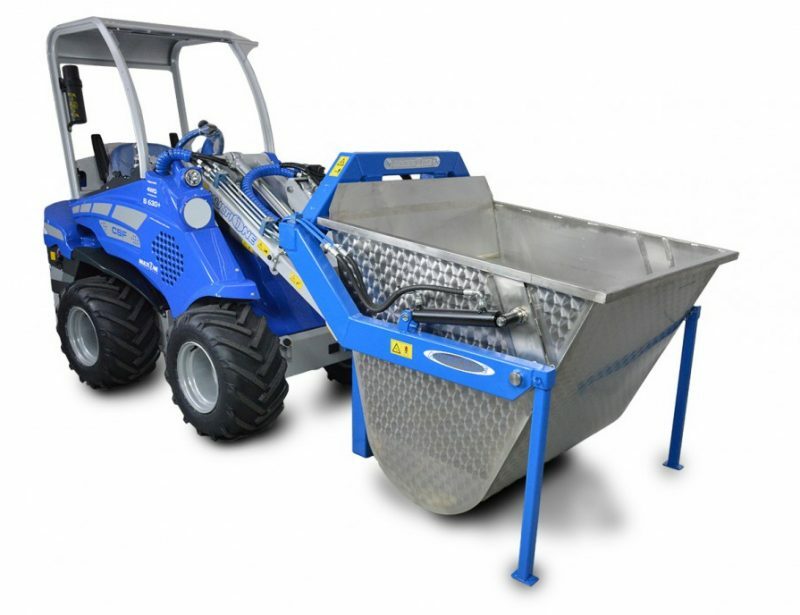 MultiOne uses a unique design that puts the engine and weights inside the frame, keeping the dimensions of the loader as small as possible. The operator sits near the center of the vehicle with a clear view of the attachment and the surrounding area, making it easy to maneuver around obstacles and get tools into the spaces where they need to be used. 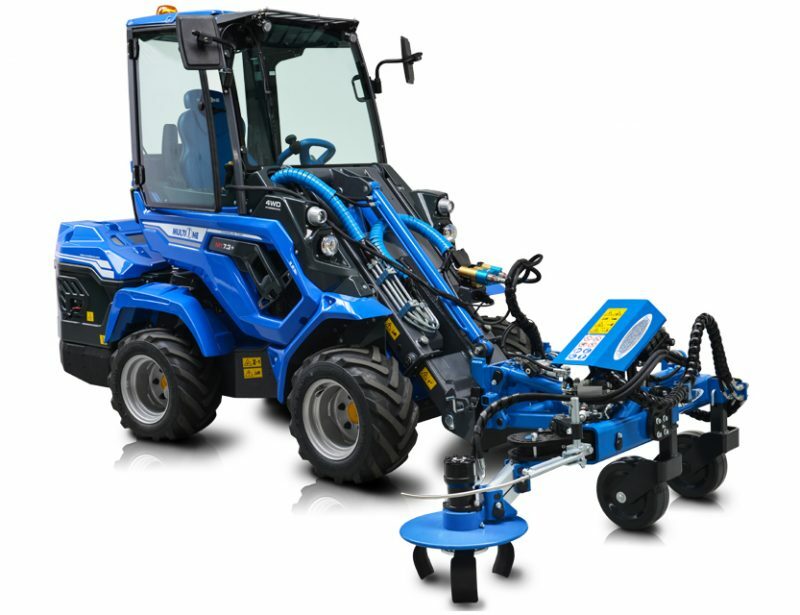 The loader uses a set of hydraulic motors to operate the wheels independently. 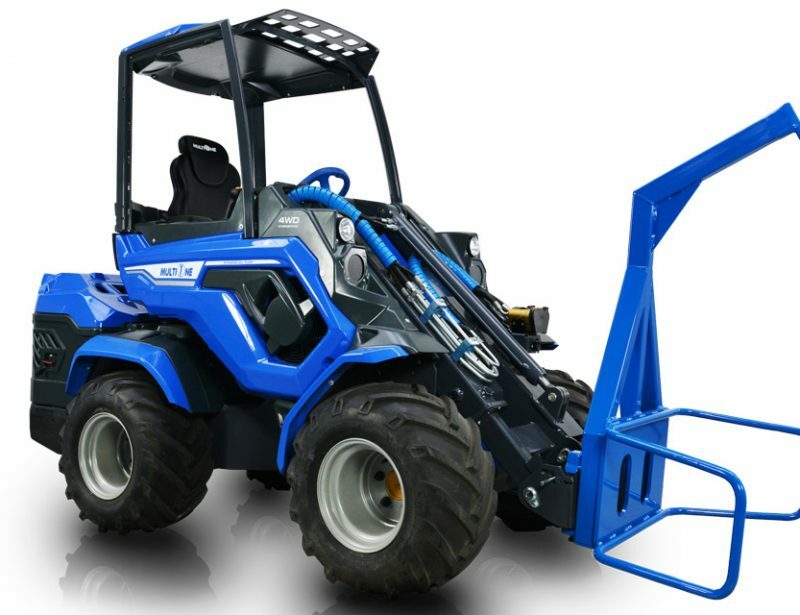 A hinge in the center of the frame allows the loader to make tight turns without braking the inside wheels. This reduces scrubbing for better traction and less wear on the soil. While this steering and drive system may sound complicated, the controls are all handled by a steering wheel and a brake and gas pedal, just like a car. Moving between fields? High transport speeds save time when you need to get from place to place. letting you reach high spots or slide attachments along the ground while keeping the loader stationary. When coupled with attachments designed to side shift, the loader can get its tools right where you need them. All attachments are powered directly by the loader’s hydraulic system, removing the need for separate engines and manual adjustment: everything is controlled using a single stick inside the cab. 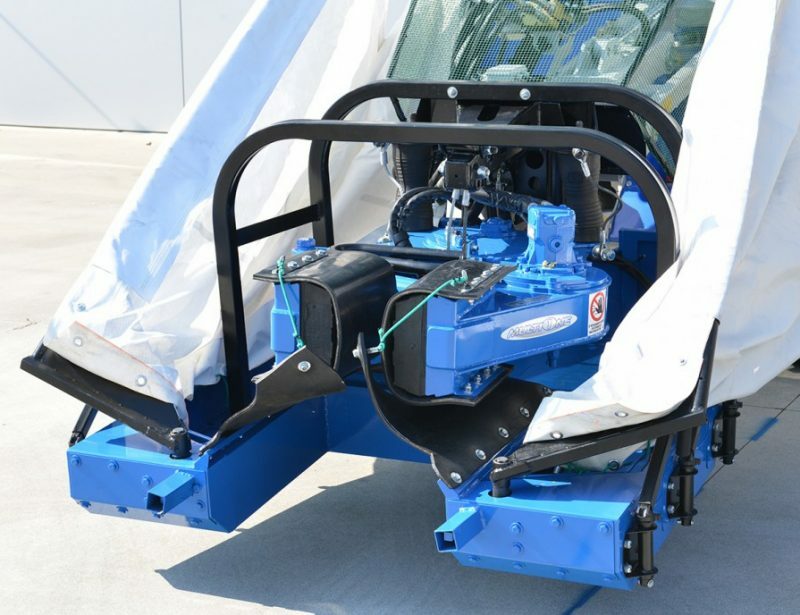 That means if you use the tree shaker, the operator can do everything from unfurling the connector to adjusting vibration speed without leaving the vehicle. Need to get to the base of your plants? 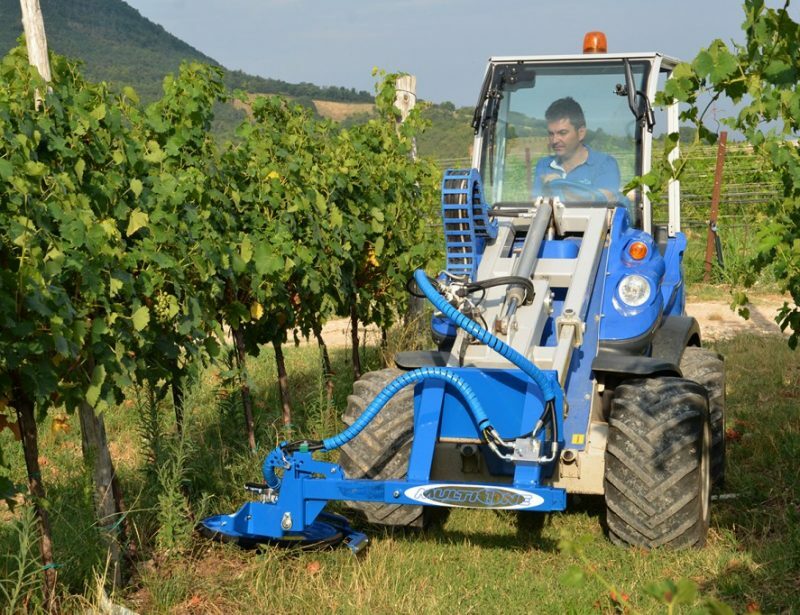 The vineyard tool carrier lets the operator adjust the tilt and position of whatever tool is currently mounted to remove weeds and prepare soil. The design of MultiOne’s mini loaders keeps them stable, even when lifting heavy loads with the boom fully extended, and a ROPS and roof come standard to further ensure the operator’s safety. If you need protection from falling fruit, the cabin can be fully enclosed. Other Tools are Built Specifically with Your Needs in Mind. 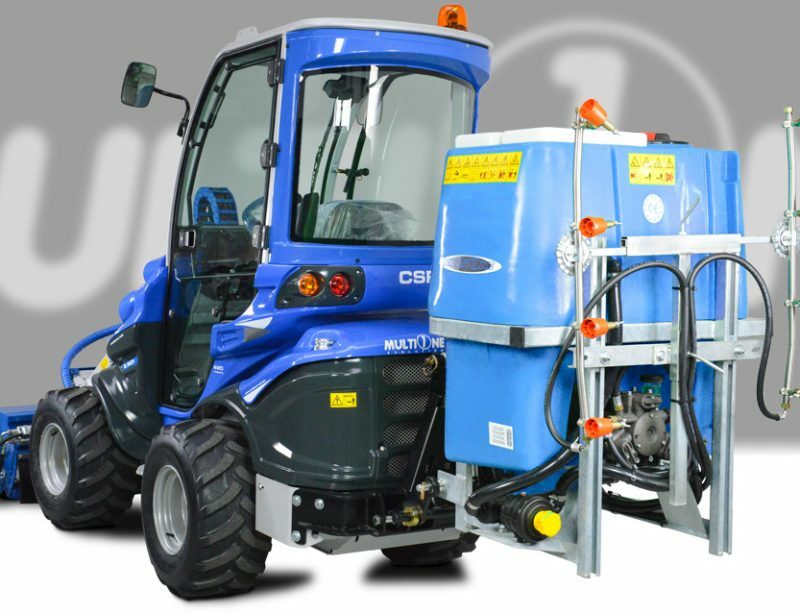 The stainless steel dumper resists acids in fruit, while the vineyard sprayer is narrow enough to pass between rows while spraying high enough to get full coverage. Best of all, front mounted attachments mount using a locking plate and centralized hydraulic connector, making it each to switch to the tool you need. That means you can keep your loader working through the season from planting to harvesting.